1. What kind of bike do you want? CX racer? All-season commuter? Something else? This discussion outlines your goals, including picking details such as wheel, tire size, and brake type. With goals in mind, a personalized fit session finds your ideal balance between comfort and power. 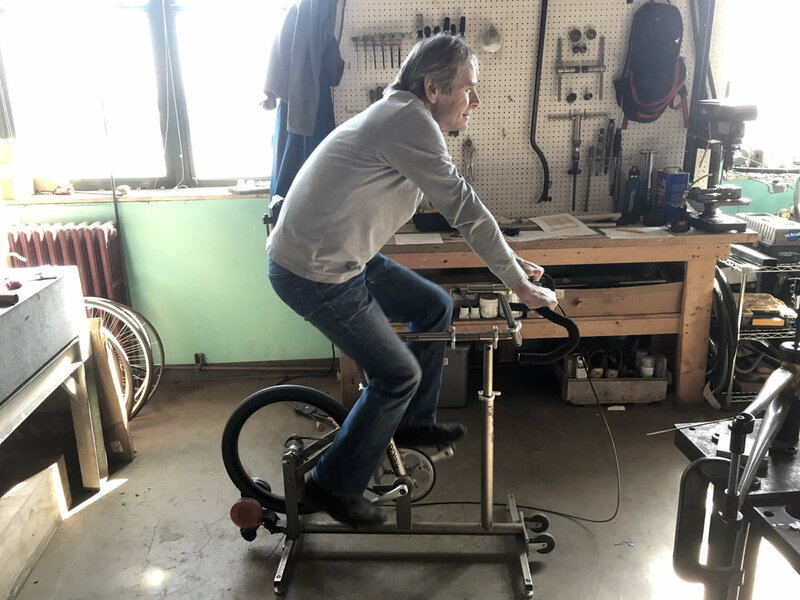 Like going to a tailor for a bicycle frame, it’s designed to fit you. Riding style and fit measurements inform a new frame design, developed digitally. 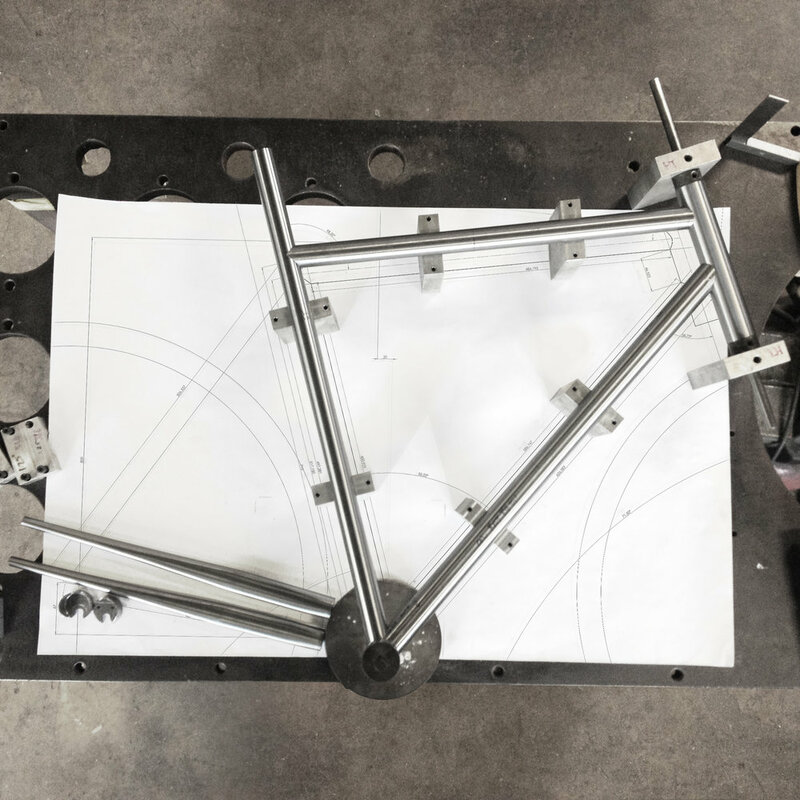 Full-scale prints are used to hand build the frame in Chicago. Fillet brazed steel construction, lugged bottom bracket, internally routed cables. Choice of a single-color powder coat with matte black graphics. Ritchey carbon fork and Cane Creek headset are included. Upgrade options: +$300 Enve Fork, +$130 Chris King Headset, full bike builds start at +$1000 with a SRAM Rival group-set. Interested? Questions? Send a message. A $500 deposit gets you started. Each frame takes about a month to turn around from when the materials arrive. Depending on how many frames are in the queue, the wait could be longer.